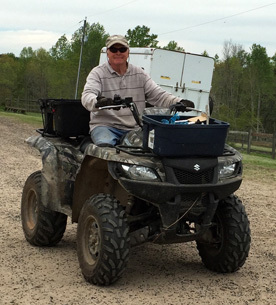 Rusty Lacy, Head of Farm Maintenance, is a man of many talents! Rusty is an avid fly fisherman in addition to having his own Evil Knievel style of motor biking on off-road courses and trails. As the maintenance man, Rusty has an arsenal of tools and equipment along with the knowledge and expertise to meet almost any need. Whether it is a repair, or new construction, Rusty is ready to lend a helping hand! Known to his grandchildren as "G-Daddy", Rusty enjoys playing the guitar and banjo in his free time. David Tuggle has been shoeing for the public since 1992. He went to school at the Eastern School of Farrier Science in Martinsville Virginia in 1994. Upon completion, David went on to get his certification with Brotherhood of the Working Farriers Association. Tuggle Farrier Inc. was established in 1995, specializing in hot, cold and corrective shoeing. In 1996, David became a Journeyman I Farrier. He then went on to attain the Journeyman II designation in 2010 and became an instructor and tester for the BWFA. 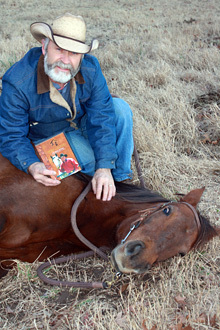 David is known for his kind and gentle nature with the horses and their owners. His lifetime of being a horseman has given him a unique ability to read a horse as well as being able to "see" the foot and know what a horse needs. Over the past twenty two years David's ability to communicate and teach his trade has given him the opportunity to train multiple young farriers. He has been the President of the Southeastern Farriers and Horseowners Association since 2005. 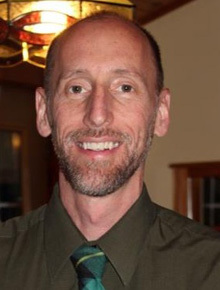 Dr. Mark Wallace was born in Nova Scotia, Canada and completed his veterinary degree at the University of Prince Edward Island in 1993. After graduation, he pursued a large animal internship in medicine, surgery, and reproduction at Virginia Tech in Blacksburg, Virginia. He remained at VA Tech from 1994-1997 to pursue an internal medicine residency and a Masters degree in research related to colic in horses. In 1997 he became board certified in large animal internal medicine by the American College of Veterinary Internal Medicine. Dr. Wallace has published a number of articles in peer-reviewed journals relating to various aspects of large animal medicine. Dr. Wallace began working in the Piedmont Triad area of North Carolina in 1997 and is a founding partner of Carolina Equine Hospital. His special veterinary interests include equine lameness, equine nutrition, colic and neurologic conditions but he practices and enjoys all areas of equine medicine. He is also an adjunct professor in the Equestrian Studies Department at Averett University in Danville, VA where he teaches courses in Lameness, Equine Nutrition and Equine Research Methods. He is also a contributing professor in the Southern States Advanced and Basic Feed Equine Feedmaster certification programs. Dr. Wallace performs consultation work for a number of pharmaceutical companies and has participated in clinical trials for a variety of new equine drugs that are currently on the market. He also finds the time to speak at a number of meetings including the North Carolina Veterinary Medical Association annual convention. Dr. Marty Adams is the equine nutritionist and horse feed manager for Cargill. He is also the equine nutrition research team member of Cooperative Research Farms for (CRF) and has served for 5 years as project leader of this organization. CRF is an international animal nutrition research organization. Before coming to Cargill, Dr. Adams worked for Southern States and he was equine nutritionist for Seminole Feed in Ocala, Florida. Dr. Adams also served as an assistant and associate professor on the animal science faculty at Louisiana Tech University. He holds two B.S. degrees from Southwest Missouri State University and M.S. and Ph.D. degrees in Animal Science-Nutrition-Equine from the University of Missouri-Columbia. In addition, Dr. Adams has a professional animal scientist (PAS Equine) certification.